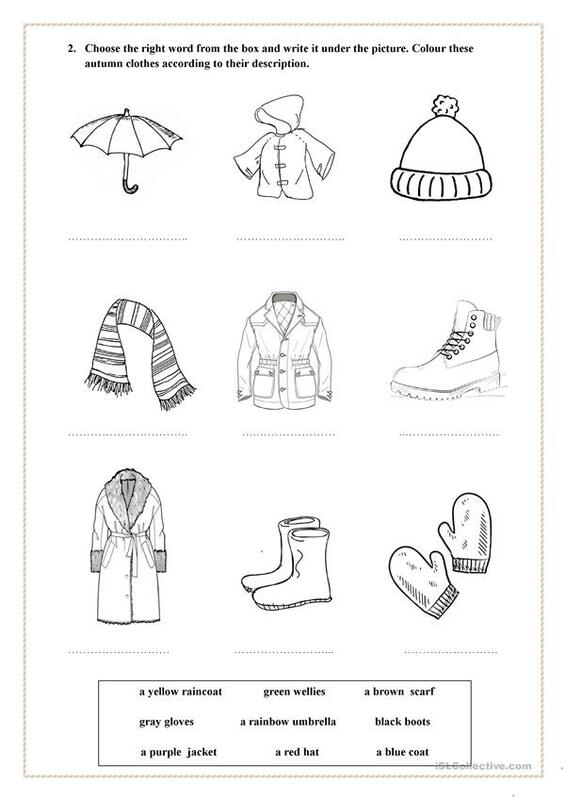 A fun worksheet mainly for elementary school kids. The first exercise is a true or false activity with sentence writing. 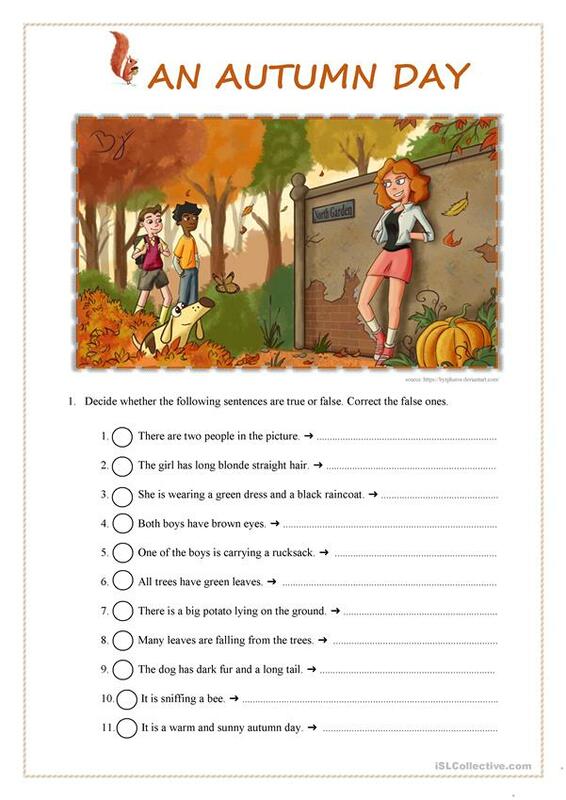 On the second page, kids have to name the autumn clothes and colour them later, though this part may be skipped. The author of the illustration is credited on the first page. The present downloadable teaching material is meant for elementary school students, kindergartners and nursery school students and students with special educational needs, learning difficulties, e.g. dyslexia at Beginner (pre-A1) and Elementary (A1) level. It is a useful material for revising Nouns, Present simple tense and There is / there are / there was / there were / there will be, etc. in English, and is a valuable material for improving your learners' Writing skills. It features the theme of Autumn, Clothes, fashion, Colours, Describing people and Fashion & clothes. sosia is from/lives in Poland and has been a member of iSLCollective since 2013-12-13 12:43:03. sosia last logged in on 2019-04-11 12:53:05, and has shared 7 resources on iSLCollective so far.